This artistic welded chain wine glass holder is the perfect centerpiece on your table/bar area. The elegant rack holds up to 4 wine glasses. 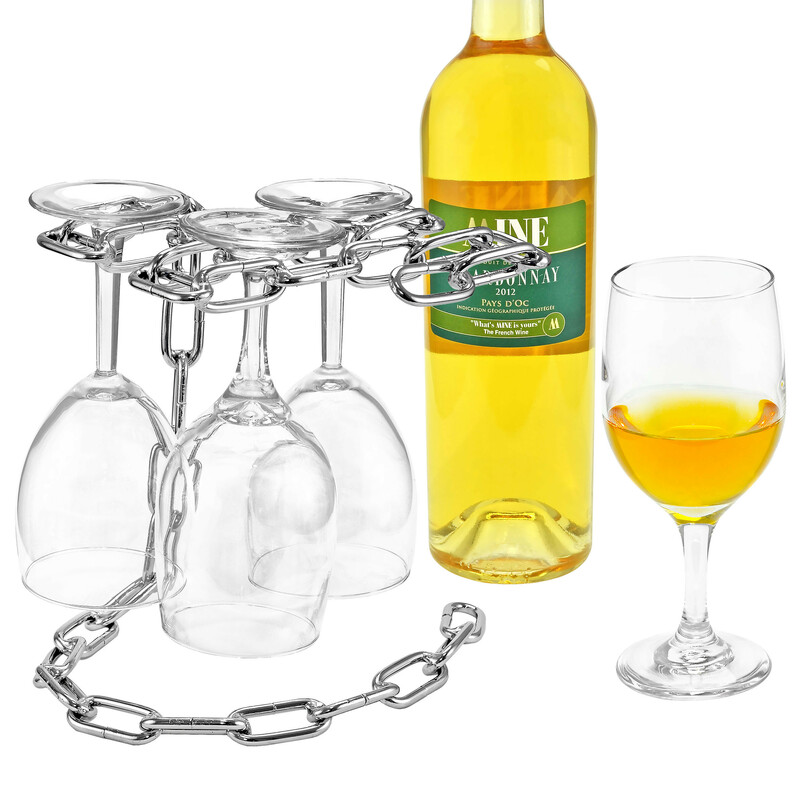 The chain is made of steel and welded into place which creates a rack that fits 4 wine glasses perfectly and then coated with a Chrome finish. This artistic welded chain wine glass holder is the perfect centerpiece on your table/bar area. The elegant rack holds up to 4 wine glasses. The chain is made of steel and welded into place which creates a rack that fits 4 wine glasses perfectly and then coated with a Chrome finish. The perfect gift for the wine enthusiast if your family, friends, or co-workers. Measures 8.75" x 7.00" x 8.25"